Denmark is considered as one of the richest nation in the world and it is famous for its high standard of living. In order to attract more number of foreign skilled professional, Denmark work permit visa has been issued. Similar to UK, the policy of Denmark immigration also based on points. 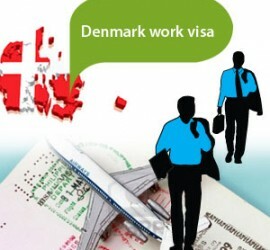 Individuals who have work permit can only work in Denmark. Even if the work is for short duration, they need to apply for the Denmark work permit visa. The Danish Green card is offered to those people who have scored enough points to meet the criteria such as education, language and adaptability. The individual can get two year residential permit under the Danish Green card scheme. This scheme does allow them to find full time work in Denmark and live there. This nation is one of the member nation of the European union and it is also considered to be active member in hiring the skilled workers across the globe .Immigration to Denmark is easy, as the nation desires to attract people from outside EU to come and work for their economy. There is also a system called positive list scheme for people who have a valid offer from the Danish employer. How much money do I need for my living expenses in Denmark?